November, I won't miss you. Last week was delightfully short but busy. On Monday I picked up my car from the mechanic and paid the $700 bill. Tuesday was a dentist appointment. No bill and no new issues but I have a couple of sensitive teeth that need to be dealt with some day. Wednesday, well, I don't even remember Wednesday. I think I bought cat food. Thursday, I drove to my mother's house and my car's radiator was boiling again! Yes, the same car that I just paid $700 to have fixed. It was making all sorts of hissing and bubbling noises. Of course, the auto shop was closed for the 4 day weekend. Thanksgiving lunch at the church was fine but it didn't feel like Thanksgiving. Afterwards, we went to visit my dad and watched TV until he fell asleep. My mother graciously switched cars with me since mine is still drive-able for short distances and she lives close to the auto shop. I'll have to call them on Monday and make an appointment. Friday was my first day to relax and I did just that. 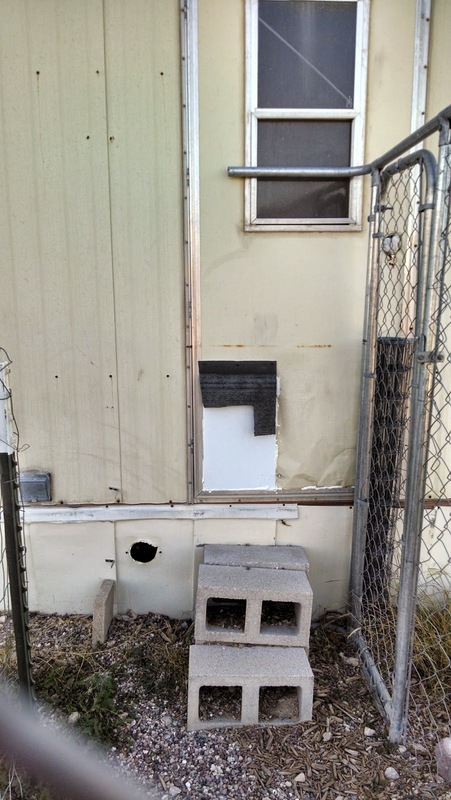 On Saturday I was planning to go out to my property and rat-proof the dog door in the mobile home but I was having such a nice time relaxing so I put it off until Sunday. I had planned to take at least 3 of my kittens back to the shelter to be adopted but they all started sneezing again on Saturday. My hopes for being cat-free soon faded so I went to the feed store to buy more horse stall pine pellets for the litter box. They are really cheap compared to the feline pine products sold for cats. Unfortunately, they told me they were out and didn't know when they were getting more because their supplier burned down. Oh well, I had to switch back to clay litter which I don't like because of the annoying fragrance and dust and it is just too heavy to cart to the car and then out to the trash. Other than my quest for cat litter, I finally had time to collect seeds from my morning glory plant and my pole beans. The pole beans came from the seed library and it will be fun to be able to return some seeds this year. And finally, today, I loaded up the momma-cat because she was not sick and took her back so that she can be adopted. Then I met up with the person who was adopting my foster dog. After that, I wandered the rows of dogs looking for my next foster but I didn't get a new one yet. I am trying to wait until my chihuahua puppies are adopted which will be another 2 weeks from now. 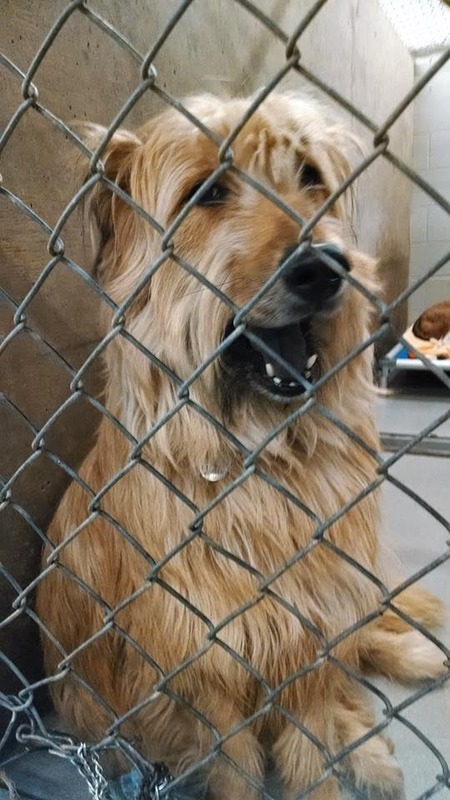 I like this fellow but there are a lot of other dogs that are more in need than he is so I probably won't get him. Next I headed to my property to cover up the dog door hole with an old campaign sign and some caulk. The plastic sign was perfect because it was easy to cut and lightweight so it could be glued in to place. The white part is the plastic sign and the grey part is what is left of the door flap. Luckily, there was no new pack rat activity inside. As I looked around, I thought, "If only I had a few days to spend out here to get things organized...oh wait, I just had a 4 day weekend". Oh well. I grabbed a few things and was headed back home in under 30 minutes. And that was my 4 day weekend. Time to set the alarm and start December! I am exhausted just thinking about it. Those dogs and cats need to help out more! Daizy, your budget busting expenses sound partly like mine at the start of this year. I bought some clothes, a PC for a friend, had some unexpected car expenses, and began paying for my new (and more expensive, but okay) health insurance policy under the Affordable Care Act. I had a plan in place to cover this so I was just fine. Your Thanksgiving didn't include a rather nerve-wrakcing 200-mile trip from NY to near Boston in a snowstorm last Wednesday. I did meet my brother's new cat which was nice, as was our Thanksgiving dinner. Still, what you go through day after day makes ME feel exhausted sometimes LOL! Lizzie, I totally agree. I am more than willing to let them use their natural talents like digging holes for plants and sweeping the floor with their tails. They don't seem interested though. Wow, Dave, no snow storm here. This starts the time of year when I am glad I live in Arizona. I'm glad I didn't drive 200 miles either. My 70 mile trip was long enough.